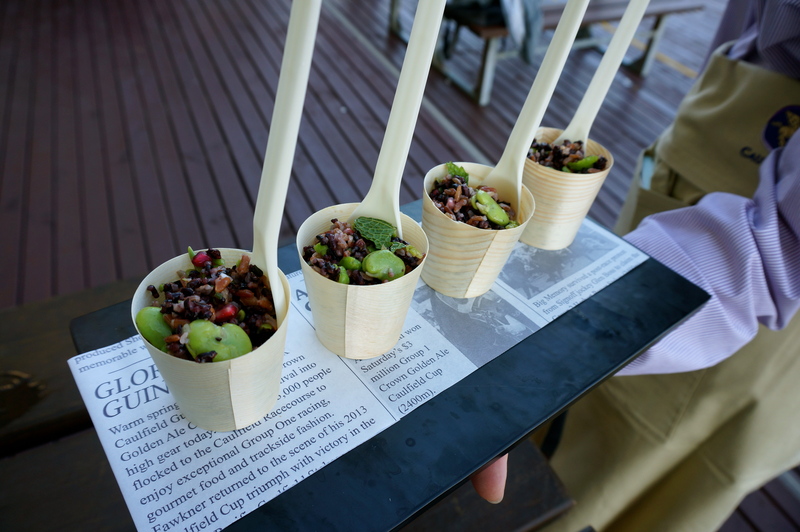 I was recently lucky enough to be invited to a sneak preview for the Flavours of Asia Market Festival that is part of the 2015 Melbourne Food & Wine Festival and Sportingbet Blue Diamond Stakes Day. 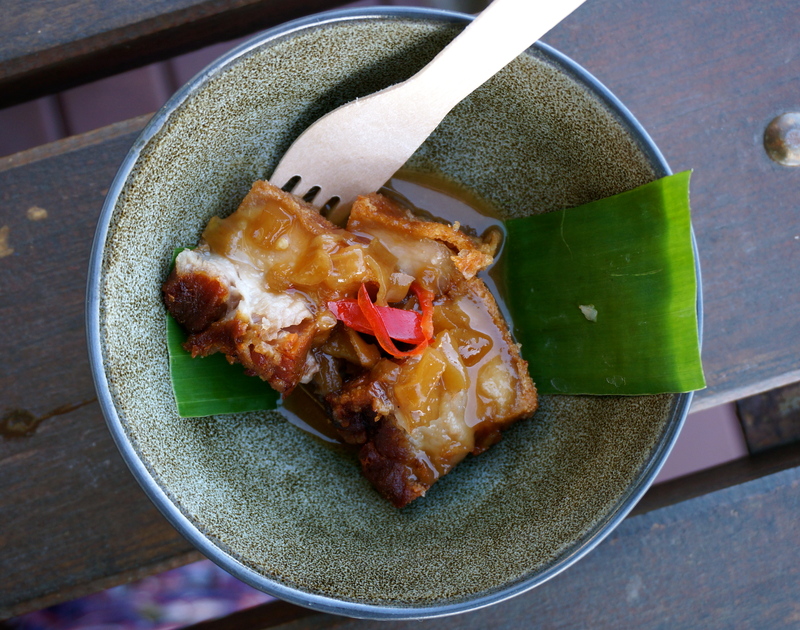 The Flavours of Asia Market Festival is one of the first events on the 2015 Melbourne Food & Wine Festival calendar and will feature a range of delicacies from across the continent, cooking demonstrations and live entertainment. 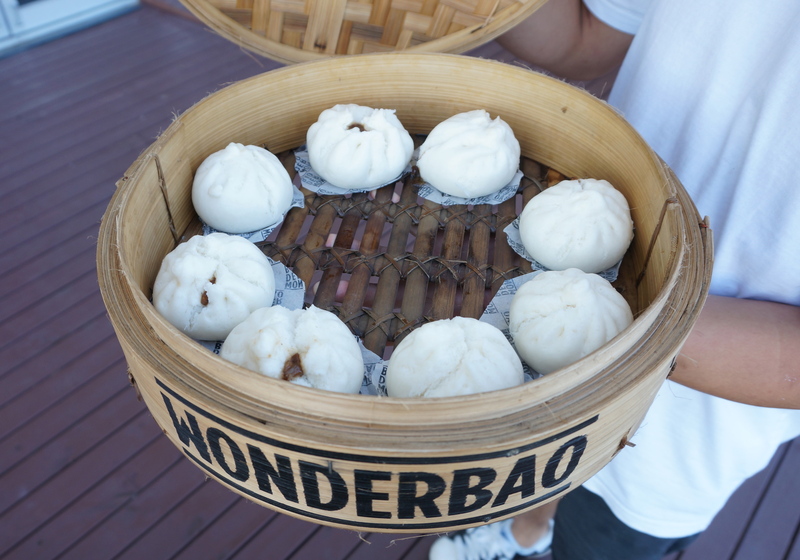 The festival is designed to bring together an array of authentic Asian street food with dishes starting from $5. Expect to find delicious menu items from Hammer & Tong, Hoy Pinoy, Wonderbao, Overdosa, Lankan Tucker, Uncle, Gogi and Eat the Chicken. Now onto the menu preview. So when we first arrived we had the opportunity to sample the Flavours of Asia Market Festival’s feature cocktail ‘The Market Mule With A Kick’ which was a fusion of vodka, dry ginger ale, lime and chilli. I was a little apprehensive about the chilli at first but it actually gave this refreshing cocktail a nice gentle heat. It was seriously good. So before I knew it I had polished off my cocktail and I had forgotten to take a photo of it. Whoops. Here’s a picture of a lady dancing instead. Absolutely incredible! Delicious sauce, super crispy crackling and pork that simply melts in your mouth. A light rice salad with a lot of flavour and texture. 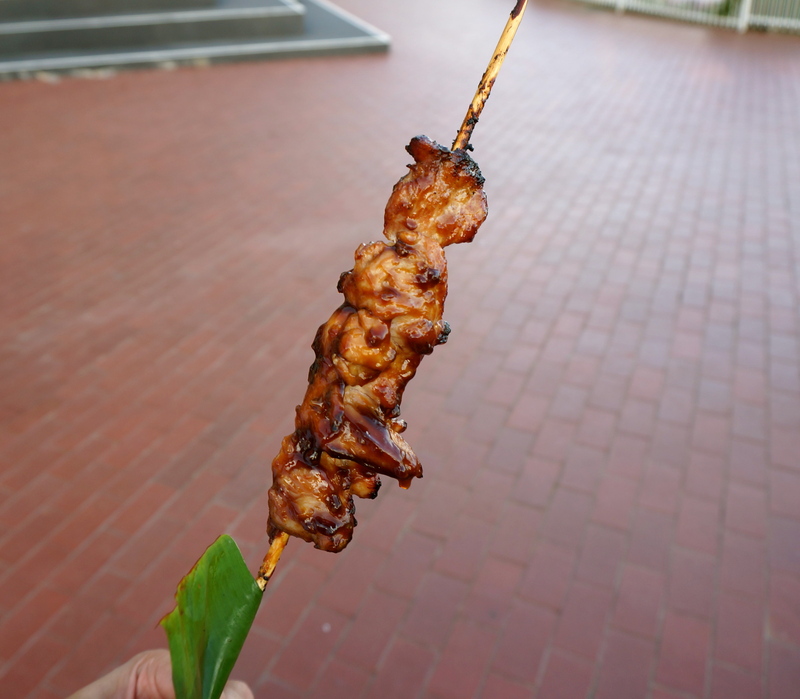 Marinated barbecued skewers cooking over a customary BBQ from Hoy Pinoy. 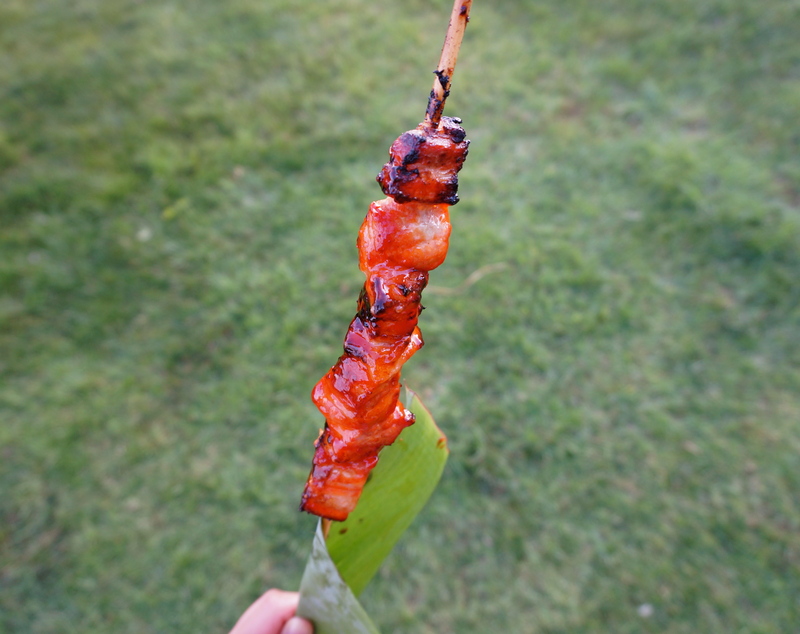 Candied meat. Mmmmmm. 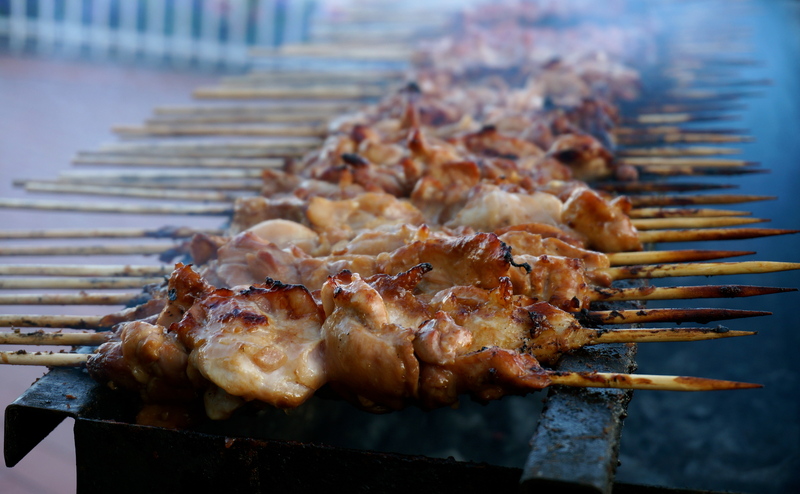 Notice that the skewers are delightfully sizeable! 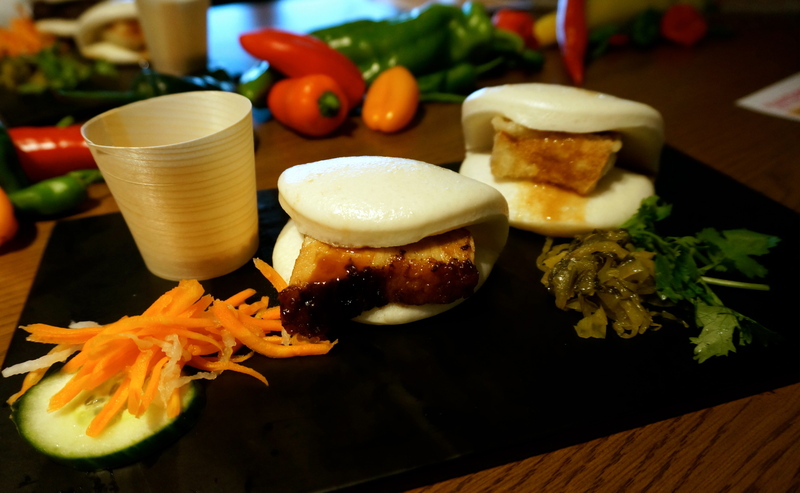 Wonderbao’s ‘Roast Pork Belly Gua Bao’ with cucumber, pickled carrots, daikon & hoisin sauce and ‘Fried Silky Tofu Gua Bao’ with pickled mustard, coriander and crushed peanuts. 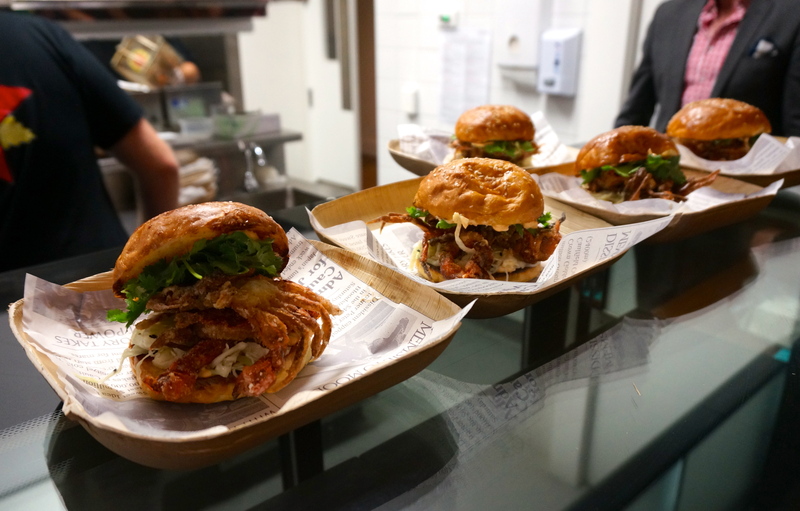 We also had the opportunity to see the making of Hammer & Tong’s famous Soft Shell Crab Burgers . 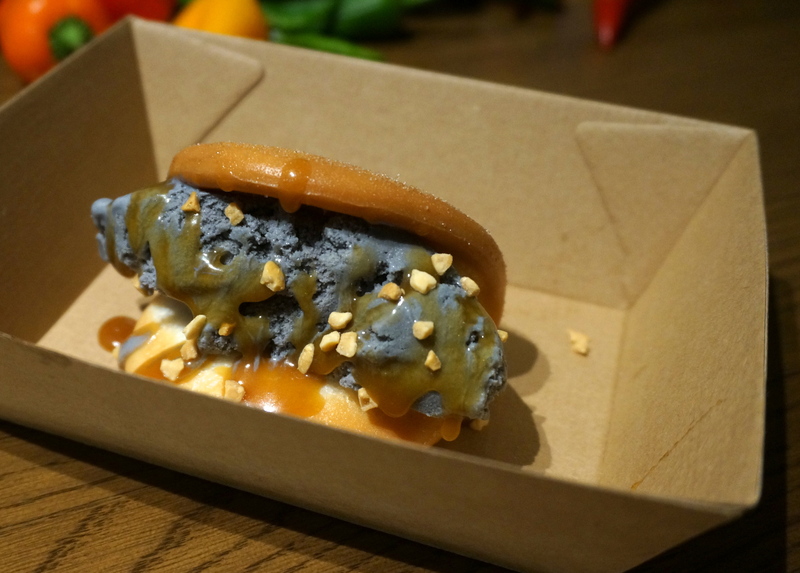 It isn’t surprising that up to 1000 soft shell crab burgers are sold during a night at Queen Victoria’s Wednesday Night Market! 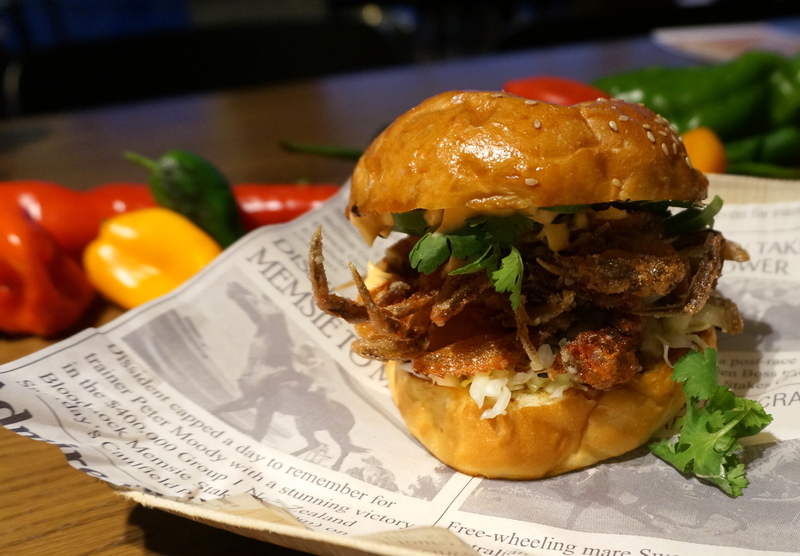 The perfect soft shell crab burger.